Our purpose is to serve the less Privileged people and children of Africa and South Africa, adding Hope and love into their lives through Sports Development and improving the Education (Education is the future of South Africa/ Africa). We aim to add Hope and Love Into Many less privileged children’s and Adults lives. Luke 4:18 "The Spirit of the Lord is on me, because he has anointed me to Preach the good news to the poor." 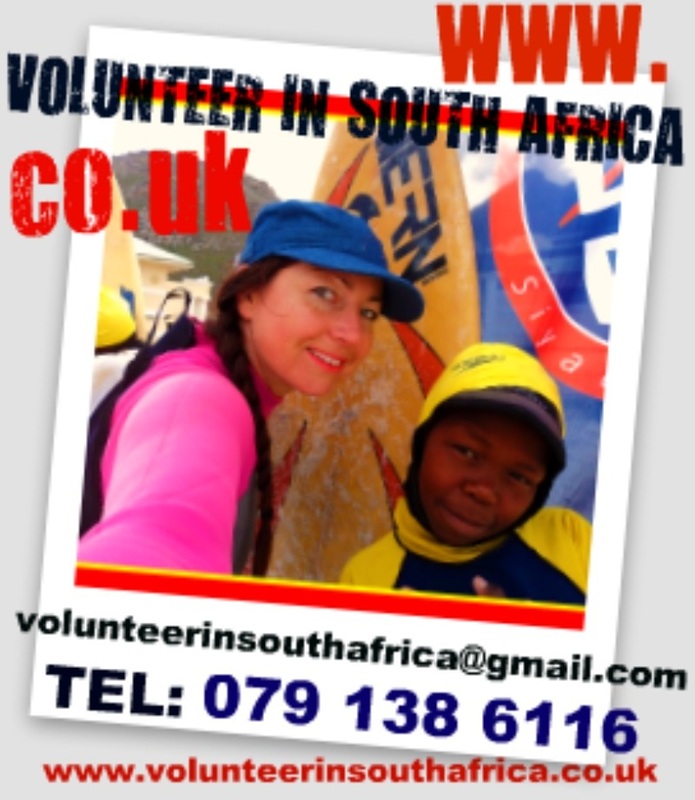 To build a Volunteer Organisation that brings “hope” and is a blessing to Africa and South Africa. To improve the education in South Africa and Africa by coming alongside the schools and assisting in approving the education curriculum. To impact children’s lives with Sports development Projects (keeping children away from substance abuse after school hours). To Partner with other Ministries (that fall under our Vision) and provide them with Resources, Finances and Volunteers. To see lives restored, bringing hope and practical answers to broken humanity. To Impact the less Privileged Communities of South Africa and Create Ideas for the poorer Communities to get Jobs. To see people from all walks of life come into a transforming relationship with Jesus Christ. To walk alongside the lost and the Broken and bring hope into their lives. To create a community of people who worship God with passion, bringing fresh sounds and new songs to our Creator. To provide an environment for the less Privileged where people flourish in their God-given gifts and are encouraged to pursue their Dreams. To create a family environment within the projects and locations that reaches all generations, empowering each generation to reach their full potential. Mandy (Weschta) Buchan Grew up in Port-elizabeth, South Africa and Coffee Bay, South Africa (An African Rural area of Southern Africa). She always had a heart for the Less Privileged people from a young age, Due to her Father running a rural african community skills centre for the African People in Coffee Bay. Mandy Weschta Grew up with the African people (making bead works with them and living within the African culture). Mandy always had a Heart for people and to love upon them un-conditionaly. (This is how we have seen this Organisation grow- through Loving apon people in need). Mandy Says "If you can still Love apon some-one even when they are imperfect and not as fortunate that yourself, this is when Jesus loves shines Through you". Mandy (Weschta) Buchan Got Baptised in 2007 on the 22nd of April at the Newquay Creation Church in the Newquay, Cornwall, United Kindgom. The Word and Message Proclaimed over Mandy and her life on that day was Isaiah 62:3 "You will be a Crown of Splendour in the Lords hand, A royal Diadem in the Hand of your God". At the Age of 18, Mandy moved to the Uk for 7 years, where she lived in Newquay, Corrnwall. Mandy Got baptised and gave her life to Jesus in 2007. After having been baptised in Newquay and having Lived in the UK for 7 Years Mandy felt a Great calling on her life to reach the Lost. (Adding HOPE and LOVE into people's lives in the depths of Africa). Mandy however did not know how to Go about this until one day, A Boy by the name of Jason (age 11 at that time), Came past Mandy’s lodge and Stole her Cell phone from her staircase whilst she was washing her car. The neighbour's next to Mandy’s house saw the little boy stealing her phone and they got into their car to go and drive after the boy. They also called the police. The police happened to be in the area and the police car and the neighbour both found the boy in an Alley way near to Mandy’s house. They took the boy back to the house with Mandy’s Phone. Mandy asked the police what they were going to do with the boy now that he had stolen her phone. The police said they were going to have to punish the boy (because he was under the age to go to jail). At that moment Mandy remembered the verse: LUKE 4:18, The spirit of The Lord is on me because he has anointed me to preach the Good news the Poor. The police Car Drove off with the boy Jason. Mandy ran after the Car and asked them to stop the car and let the boy out the police van. She told the police that she would take care of the Boy (Jason). Mandy had a one on one chat with the Boy Jason and I told him that he had made a mistake by stealing her cell phone and even although he had stolen her cell phone she forgave him and Jesus forgives him too. Mandy told him it was not the right thing to do and that God Gets very sad when we steal. Mandy told the boy how much God loved him and how much God wants the best for him. She also told him that when he feels alone, then God is watching him and comforting him in those times. Jsson lived under the Bridge in Muizenberg at that time (on the streets). That day, Mandy decided to take Jason Surfing, to show him a new Life through Surfing and being active. Jason ended up being a Great surfer. He was not attending school at the time, so Mandy told him that if he went back to school then he would be able to surf every-day. Jason loved this idea and started going back to school. The following week he brought 30 of his Street friends to come and surf. This is when Mandy saw a Great Potential to change the Community at Large. Mandy then made a rule that if the children went to school every-day then she would collect them from school (after school) and teach 5 of them to surf a day. This is when we decided to launch love to give, Mandy's heart to LOVE APON OTHERS made her start a Love to give Program which involved teaching children free skills and doing bible study and worship with them. Mandy is known as the Founder of the Surfing Project in Muizenberg and since then there are around 400 children surfing a week in Muizenberg, Mandy then also launched an Organisation to try and get more volunteers to come and help teach children sports and many other projects (that have a Great need for Volunteers) this organisation is called: www.volunteerinsouthafrica.co.uk. Since then the Surfing Project has grown to 4 locations in South Africa (with more to come) and Supersport Letsplay Television has sponsored the sports Groups with Sports Gear (a faithful 12 years partnership so far). Mandy has also come along side many more Sports Projects and many more skills development projects have been launched Through-out South Africa and Africa providing the the projects with resources and Volunteers to help maintain the projects and running of the projects. www.lovetogive.co.za is now reaching out to +-30,000 people a month with the projects Growing daily. Mandy (Weschta) Buchan says ‘My aim is to impact the less Privileged children’s lives in South Africa and Africa at Large’. I always have had a heart to reach out to the people in need, adding HOPE and LOVE into their lives. It’s so good to see that That we as an Organisation, have been used as a tool to reach out to many People in many areas of South Africa and Africa, God is using us as a tool to Impact many less Privileged People’s lives throughout Africa. This is such a huge Privilege and Honour to be able to help others in need bringing them into a transforming relationship with Jesus Christ as they grow to know themselves better. Since I started teaching the street children Surfing in 2007 we have seen many children going back to school and becoming some-thing in this LIFE. We have also built many Orphan schools in the townships, waterproofed many people’s homes to protect them from the bad weather. We have also partnered with many projects that need help and support, and since I started love to Give over +-20,000 children and Youth and adults have come to the Lord and are attending church in their local areas. We have taught +-4000 children to surf (and they are still surfing) and +-1000 boys to play soccer and +-1000 children how to swim so far. We have helped many people with food by going house to house in the townships (slums): offering food to people and Counselling to them and Praying for them. We are so blessed to be able to reach out to the less Privileged people of Africa and South Africa and add HOPE into their lives. Mandy Also Says: Thank-you to the people that have believed in me and supported me in reaching out to those in need, adding Hope and Love into their lives, And showing them how to become successful in this life. Any help you feel you want to give towards our projects will be so much appreciated. We run many skills development projects through-out South Africa and Africa and we have a Huge need for any resources and finances to keep running our Projects. Our aim is to teach people skills and improve the education in South Africa and Africa at large. We would like to see all the people earning a salary, getting qualified at university and becoming something in this life (instead of begging on the streets for money). Please consider Partnering with us monthly to help maintain the running costs of our Projects. This will be so much appreciated by all the www.lovetogive.co.za projects and help us to continue to reach out to more people adding HOPE AND LOVE into their lives. Our projects can then also expand so that we can reach the lives of many, many more people. Impacting their lives for PURPOSE AND DESTINY in this life. Thank-you to the people that have believed in me and supported me to do God’s work. We are a faith based Organisation, so whatever God brings is what we use to keep the projects maintained and Running. If you decide to sponsor a child to go to school then the cost is +-$150 a year for their uniform and shoes and books and school fees. We will then keep you updated on the child progress. If you decide to sponsor feeding a family (that has no food) then the cost is +-$40 a month. Any donations you can make to help the less Privileged will help. When making a payment through PayPal or into our Bank account, then you can let us know how you would like us to keep in touch with you. We will then let you know what your donation has been used for. All and any donations are much appreciated by the less Privileged people and all our Partners and Projects. This video below is a video on how the Organisation begun in 2007 (we hope you enjoy watching it) we also hope that you can come and join us soon at www.volunteerinsouthafrica.co.uk. We offer safe, comfortable, clean Accommodation at all of our Ministry sites. We are currently operating in the following parts of Africa and South Africa: Cape town (the 1st original Ministry), Jeffrey's Bay (Mandy's current home town), Zanzibar Island, Coffee Bay, Sidbury Port-elizabeth and St francis bay.